Canyon Winds – We love music and people! 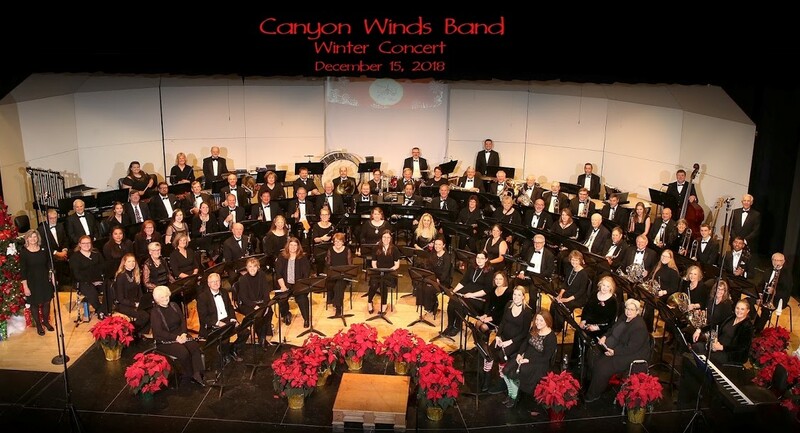 The Canyon Winds Concert Band is a not for profit community band in Colorado Springs, Colorado that exists solely for the enjoyment of its members. The band rehearses weekly and has two performances a year. Membership in the band is open to musicians of all ages and performance levels. We would welcome to our ranks all those interested in getting together for the purpose of having a good time while playing music. Come join us! Band members have the chance to join into section groups and play additional pieces. Our Brass Ensemble currently consists of 6-8 members. The Clarinet Ensemble performs 4-6 selections at each concert that have been chosen by the ensemble members.